I am just back from a wonderful three weeks of vacation...hence the hiatus from this blog. Living in the Selous, sometimes it's easy to become focused on your immediate surroundings and forget just how many incredible places there are on this continent. Some time off gave me a chance to visit a couple of these places. 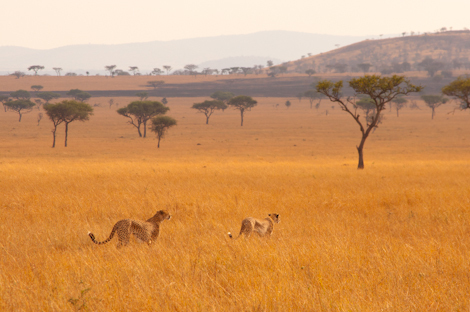 First I stopped off in northern Tanzania for a quick safari. 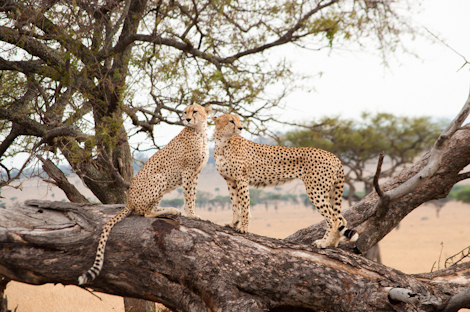 Not too far from Lamai Serengeti, I tracked these cheetah for three days hoping to see a kill. But while they spent plenty of time hunting, I never got so much as a chase out of the brothers. Without any cheetahs here in the Selous, it was a pleasure for me to spend so much time with these felids. After that I was off to Ethiopia. 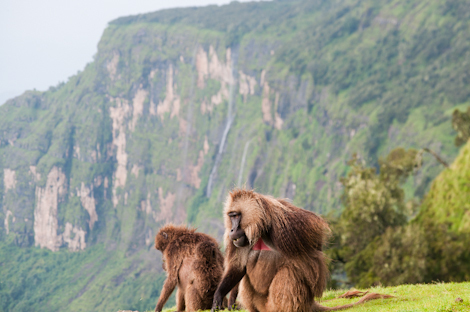 The highlight of my time there was a visit to the Simien Mountains, famed for the gelada baboons and incredible topography. It certainly did not disappoint! 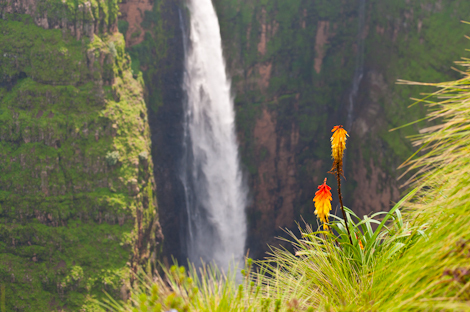 The shaggy, 'bleeding heart' baboons graze on the mountain tops but sleep on the sheer cliffs. Now I'm happily back amidst the familiar screams of the fish eagles!